I’ve partnered with the Certified Financial Planner Board of Standards, Inc. (CFP Board) to share my own experience with–and opinions on–CERTIFIED FINANCIAL PLANNER™ professionals and their ability to help other families benefit from valuable financial advice. Today, I’m sharing why I believe working with a CFP® professional is one of the smartest things you can do for your family’s long-term happiness and security. One of the best decisions I made before I had children was to consult with a CERTIFIED FINANCIAL PLANNER™ professional. My husband and I were both fresh out of college and making enough money (finally) to afford more than ramen and eggs. My boss at the time became a father figure to me. He not only helped me learn the advertising business, but he and his wife also gave my husband and I advice that was extremely helpful to us as newlyweds. In addition to sharing tips to navigate married life, they shared the name and number of their CFP® professional. They urged us to create a financial plan as early as possible, assuring us that, years later, we would be glad we did. They were not wrong. There have been many times over the last two decades that I’ve been grateful we followed their advice. Today, I’m sharing several reasons I feel so strongly, in an effort to help other moms see how CFP® professionals can help their families reach their goals. Each family is different and has different goals. Below I’m going to tell you about several of my own family’s goals that we were able to reach thanks to the guidance of our CERTIFIED FINANCIAL PLANNER™ professional. As newlyweds, the first big goal my husband and I had was to purchase our first home. Our CFP® professional helped us determine how much to save, what we could afford, and even gave us advice on finding the right mortgage. FYI, the guidance on how much we could afford was a life saver. As first time home buyers, we didn’t realize banks would be willing to lend more than we could easily pay. We also weren’t aware of how much taxes and insurance added to the monthly payment. We sat down with a new CERTIFIED FINANCIAL PLANNER™ (we had moved to a new state, one of the joys of military family life) to figure out how to start saving for our newborn child’s future college education. Of course, because she was a CERTIFIED FINANCIAL PLANNER™ professional, she helped us work the college savings goal into a comprehensive plan that included several other goals I haven’t covered yet. Thanks to the college savings plan we created over 20 years ago, neither of my children needed student loans. My three younger children hopefully won’t need any either, should they opt to go to college. I’m a firm believer in valuing experiences over material items. Ask your kids about their favorite Christmas memories and they’ll most likely talk about something that happened and not a gift they received. Because my husband spent so much of his military career deployed–or in the field–we couldn’t plan annual family vacations. Instead, every three or four years he would get a few weeks off to allow us to move from one duty station to the next. We used those rare opportunities to take, what we refer to as, “epic family vacations” that would last up to two weeks. Every one of my kids still talks about our big cross-country adventure from San Diego to Washington, DC when we did everything from hiking at the Grand Canyon to Alpine sliding in Colorado. Yes, you can absolutely plan an epic family vacation without putting a dent in your financial plan, but our goal for these vacations is to do whatever we want without worrying about the cost. So, we like to save up an adequate amount before each trip to give us that freedom. That’s only possible thanks to our solid financial plan. Over the years, we’ve realized how important it was to have a well-stocked emergency fund. It has come in handy many times. We used it to pay for last-minute plane tickets when we had to fly home for my sister’s death and my father’s stroke. We’ve used it to replace the water heater in our second home, and to replace the air conditioner in our current home. A CERTIFIED FINANCIAL PLANNER™ professional will always encourage you to have sufficient funds saved for emergencies. Their goal is to ensure your financial health, so they will help you make smart choices with your money rather than encourage you to invest it all in high-risk investments. A unique feature of military careers is that you’re eligible to retire after 20 years. So, just as most people are reaching their highest earning potential, military members are retiring. And, fun fact about military retirement, if you don’t make it to the 20-year mark, you don’t earn any retirement pay! Though my husband was always certain he wanted to make a career out of the military– life has thrown me enough curve balls– I never wanted to rely solely on that promised retirement income. After all, what if something terrible happened at year 18 and he was either forced out or decided to walk away? Luckily, both of the CFP® professionals I worked with had emphasized the importance of retirement savings. 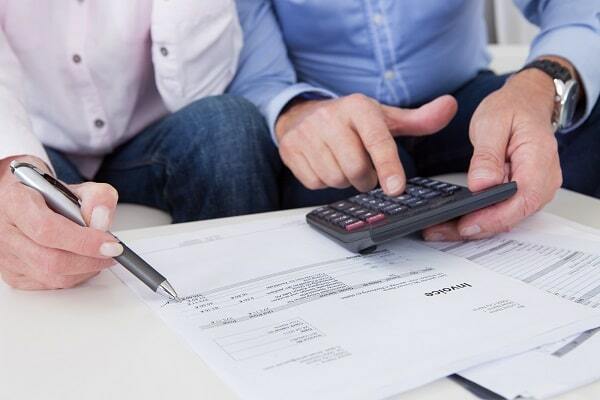 They had a lot of reasons–aside from having money to live on when we’re old–mostly to do with tax savings and the ability to borrow for other financial goals if needed. Though my husband made it to 30 years and earned his military retirement, we now have a nice nest egg to support us if we ever need long-term care or end up beating the odds and living until we’re 100. 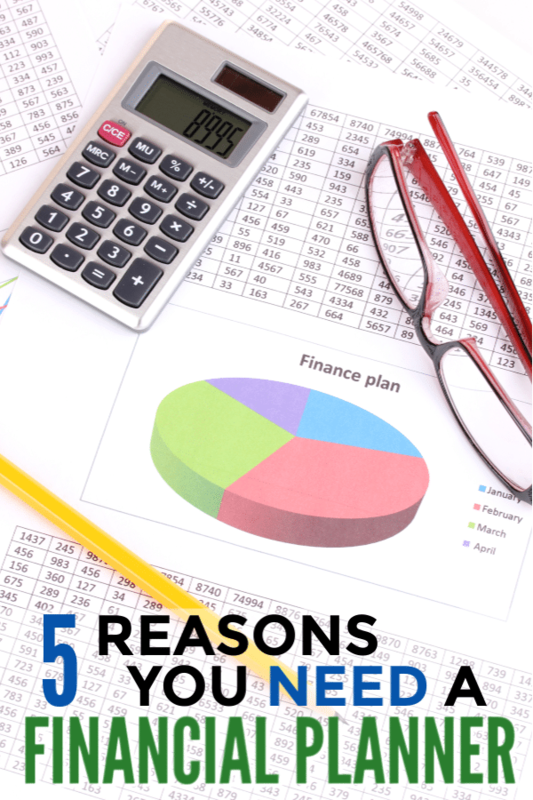 Plus, as my CFP® professional had taught me, we can borrow some of the funds out of our retirement accounts if it turns out we need more money for college or if we need a larger down payment for our forever home. Did you know that just about anyone can call themselves a financial planner? Someone who has done nothing more than create their own household budget could open a business and declare themselves a financial planner. If you want guidance you can trust, first and foremost you should look for a CERTIFIED FINANCIAL PLANNER™ professional. Someone with the CFP® certification has completed extensive training and is held to rigorous ethical standards. At a minimum, a CFP® professional must have 4,000 hours of financial planning experience and complete training in 72 financial topics. They have to pass the CFP® Certification Exam, which tests their ability to apply financial planning knowledge to real-life situations. Most importantly, a CFP® professional is legally bound to act in your best interests. You never need to worry that they are pushing you to invest in a product that simply pays them the highest commission. Find out how a CFP® pro can help you at letsmakeaplan.org.